Chocolates make a classic gift for the holidays and celebrations, especially Valentine's Day! Why not give your loved ones a special, decadent treat with Dark and Milk Chocolate Truffles from Baron Chocolatier. 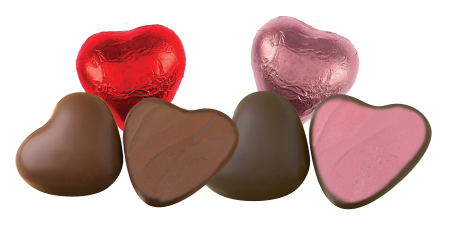 Baron Chocolatier has special heart-shaped truffles in time for Valentine's Day! 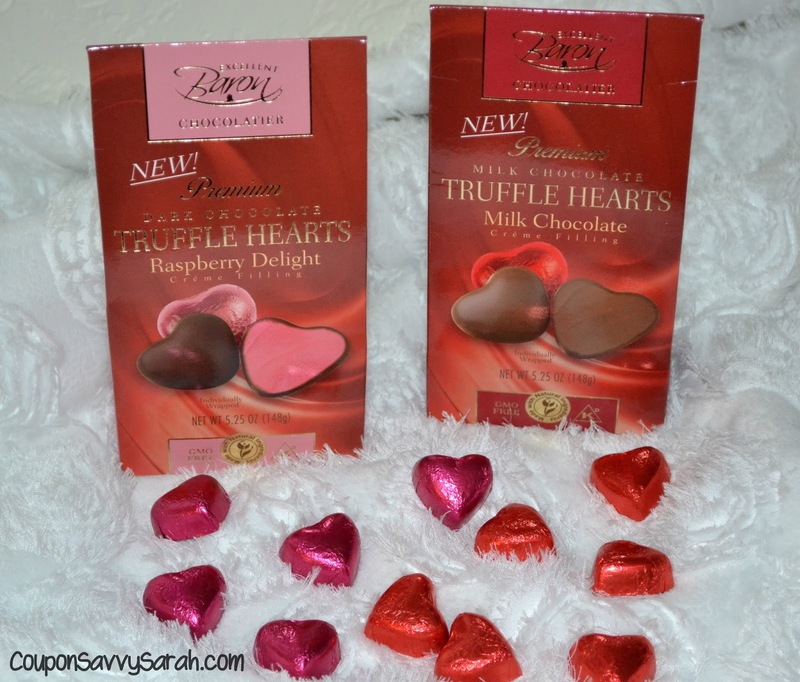 We got to try out the Milk Chocolate Truffle Hearts with a Milk Chocolate Creme filling and the Dark Chocolate Truffle Hearts with a Raspberry Creme Filling. They are so creamy and melt in your mouth. I love the pairing of the dark chocolate with the fruity raspberry filling. Looking for a romantic gift idea to surprise your loved one with? How about pairing the chocolates with some bubbly or sparkly beverage and some candles? 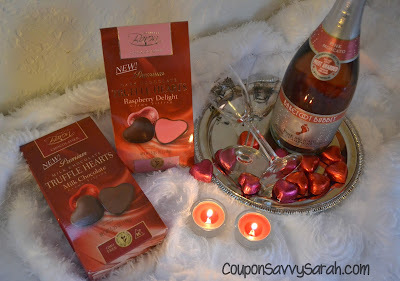 Perfect and easy Valentine's Day gift! 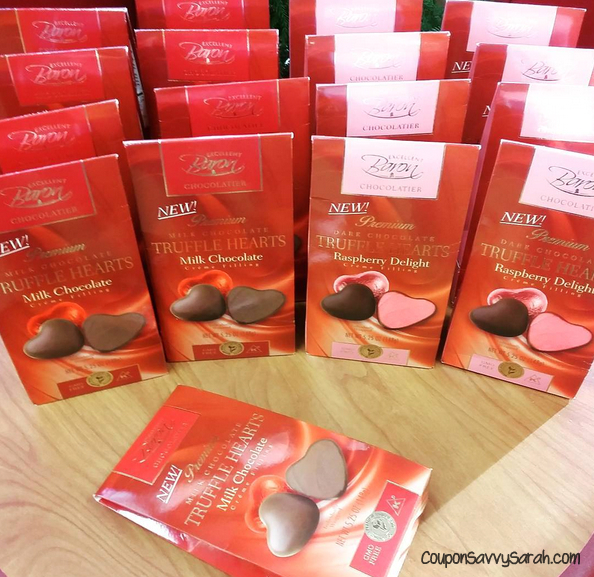 Baron Chocolatier products can be found nationwide at many retailers near you including Aldi, Costco, Kroger, Walgreens and more (You can find the complete store list here). You can also buy their chocolates online at Amazon here. Their products include chocolate bars, truffles, chocolate gummi dippers and PB & J chocolate bars. I love everything about this. Valentine's day is one of the few times a year I let myself eat plenty of chocolate. I need to try this. Oh these look delicious! 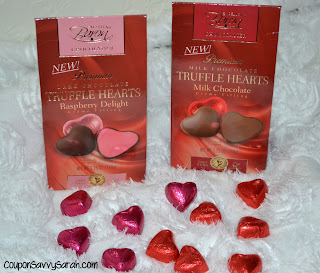 I love chocolate and even better that it is heart-shaped with yummy filling! 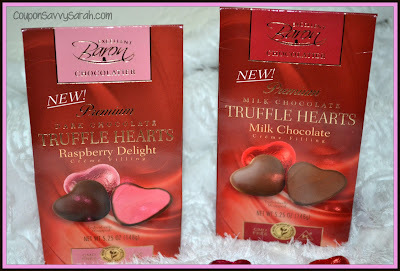 These sound so good, I really like chocolate truffles every now and then. Oh, my goodness.... These look amazingly yummy! Oh my! They look delicious!